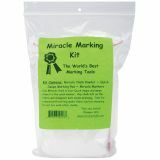 Miracle Marking Kit - THE LAST STITCH-The world's best marking tools. Kit contains everything you need to create your marking miracle. 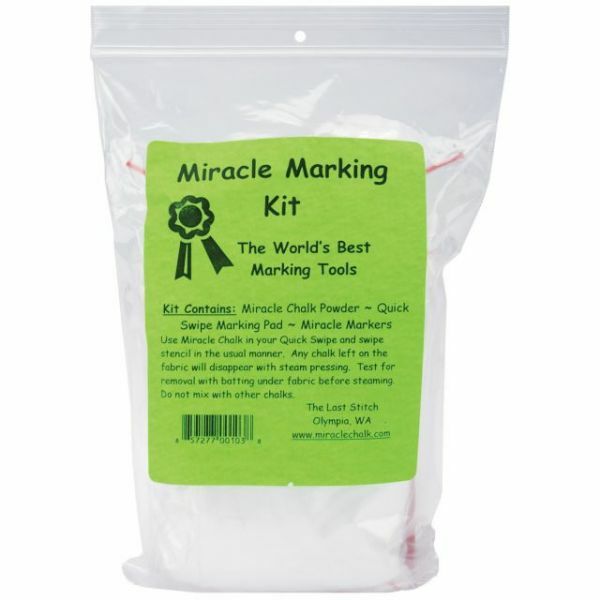 Includes: miracle chalk (1.8 ounces), quick swipe marking pad (3x4.5), and 3 miracle markers. Use miracle chalk in your quick swipe and swipe stencil in the usual manner. Any chalk left on the fabric will disappear with steam pressing. Test for removal with batting under fabric before steaming. Do not mix with other chalks. Use to stencil a design on your quilt or other fabric- sew in the design after marking with chalk, and then wipe the chalk away!